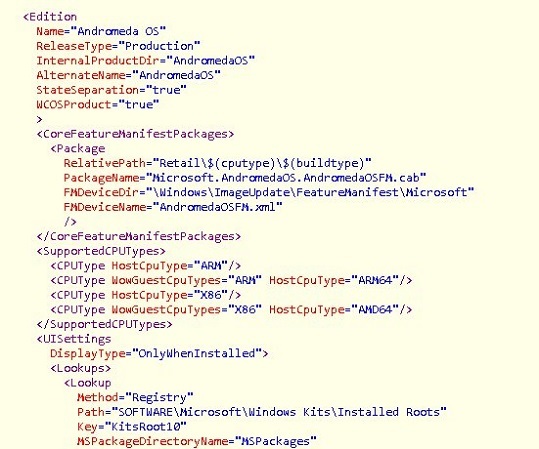 Microsoft has been working for quite some time on the mythical foldable device codenamed Andromeda and the company’s new modular platform Windows Core OS. The software giant has remained tight-lipped on the release of Andromeda and modular operating system, though more information emerges as work advances. 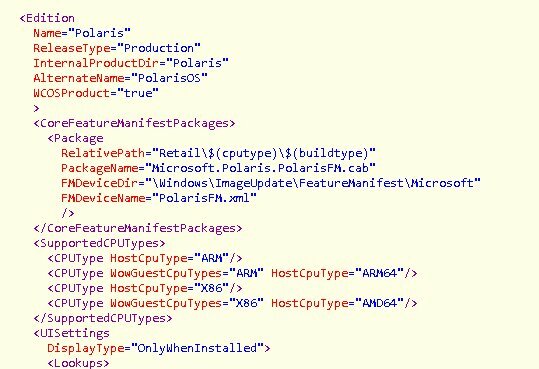 Today, Microsoft enthusiast Walking Cat has discovered evidence to Windows Core OS, Andromeda and Polaris in latest Windows 10 SDK confirming that such a project is still a thing. 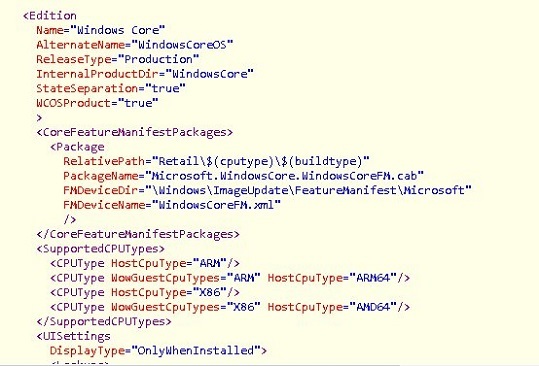 According to findings, the latest Windows 10 preview build 17672 SDK contains references to the Windows Core OS, and composers namely; Andromeda and Polaris. First and foremost, Andromeda is the codename of both foldable mobile device (hardware) and the composer (software). Windows Core OS is a modular and true UWP-version of Windows 10. The Windows Core OS can be installed on any device including mobile, desktop and even HoloLens. Microsoft has already unified the kernel, and with a modular OS and UWP apps, Microsoft’s vision of one Windows across all devices would finally become a reality. The Windows CShell is an important part of the modular Windows 10 project, and it will allow devices to adjust their UI's for different tasks, devices, and experiences. 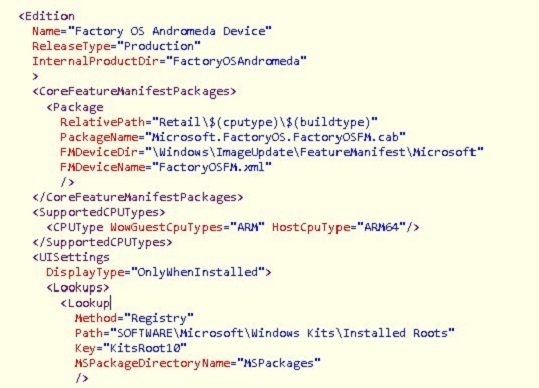 Interestingly, Windows 10 build 17672 SDK also includes references to Andromeda Device, the company’s long-rumored foldable Courier-like model that is being developed behind the closed doors at Microsoft. The foldable mobile device will reportedly run on ARM processor for always-connected connectivity and day-long battery life. While very little has been said on when exactly Microsoft will unveil the rumored Andromeda mobile device but the reports suggest that the debut of Andromeda could take place as soon as this year. The Andromeda is a multiple form factor device with a foldable display, innovative hinge, and modular OS. However, Microsoft hasn’t yet confirmed the existence of such a device and all the reports are based on information from sources. 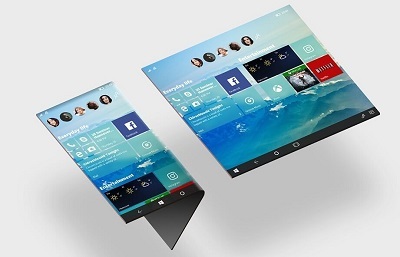 Back in 2015, Microsoft was reportedly working on a smartphone called Surface Phone that has probably been canceled in favor of a foldable tablet or mobile. Microsoft has already sunsetted the Windows 10 Mobile operating system and the company later decided to build Andromeda with a completely new approach. In the past few years, Microsoft CEO and executives have hinted at a possible “ultimate mobile device”. If the reports from reliable sources are believed, the foldable Andromeda is still a thing and it could be unveiled later this year but it’s better not to hold your breath on it.